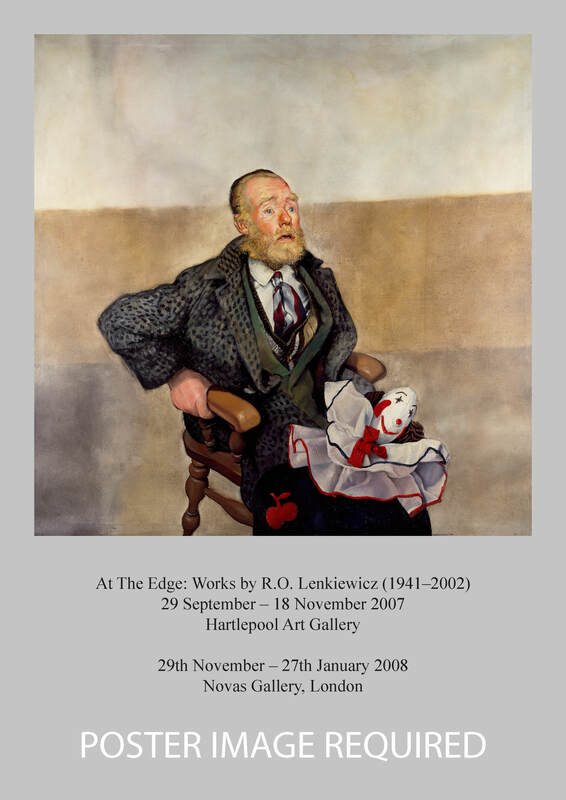 This is a new project; we can’t reconstruct one of the original collections (which he called projects) so we are generating the first post-Lenkiewicz project showing work from several of the original projects but all touching on one of his 'meta-themes', that of social enquiry. We think that this is a legitimate ‘stretch’ from his mode of presenting his work because he himself moved work between related themes, putting the same piece in different projects if he felt like it. We could explore any of the many aspects within his work but we have chosen this orientation, because we feel it resonates with his objectives. We want to “provoke thought” (a favourite Lenkiewicz expression and undoubtedly one of his objectives) and have sought to select pieces that collectively and individually will achieve this. Why ‘at the edge’? We wanted to illuminate Lenkiewicz’ over-arching interest in people who are in extremis, or at critical moments in life, or suffering acute degrees of isolation for one reason or another. At such times human beings may feel very alive but may also be near to death or very excluded from the world that surrounds them. A paradox. Lenkiewicz didn’t see the projects as tools of social change but in a sense they were. As a figurative painter of social themes, an accessible even obsessive chronicler in a time of change, Lenkiewicz in far away Plymouth has a lot to show us about the tectonic shifts that have occurred in our social fabric. Not oblivious to the tide of conceptual work that has engulfed the art world since he left London, but not swayed by it either, he used traditional painterly skills to open the eyes of the onlooker. (TLF introduction to gallery brochure for At The Edge: Works by R.O. Lenkiewicz (1941-2002). Study of Kevin Gasson. Study of the Painter’s Dead Mother. Study of the Painter’s Dead Mother.